Disclaimer: The Technics EAH-T700 was sent to us by the local Technics branch. The unit in the meantime has been returned to Technics as it was a three week loaner. Everyone knows Technics and everyone heard or has heard of the iconic and legendary SL-1200 turntable. But Technics headphones? Not that famous if you think about it. Technics seemed to agree and they decided the build the EAH-T700 statement headphone which they launched at the same time as they announced the revival of their awesome turntable. Of course everyone has been talking about the SL1200. And the EAH-T700 headphone, well, it’s been out there for quite a while now. 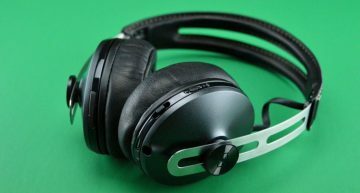 Today it’s featured on Headfonia though, but is it really a high end headphone? Keep reading and find out. The closed back Technics EAH-T700 has a central dynamic 50mm driver and a small 14mm super tweeter. The New Statement from Technics Headphones. Superlative Musical Experience, Right in Your Ears. The tweeter in the Technics EAH-T700 headphone pushes the frequency range all the way to 100kHz, which is way above what the ear can hear, unless you’re a dolphin or a wale as one of my friends put it. So is that really needed or useful? I wonder. The Technics EAH-T700 I received has clearly been used before by many before me and the box was even missing. Inside the delivery box was a simple carrying bag with a short and a long cable. I’m sure/I hope you get plenty of other accessories at this price point but I couldn’t possibly tell. The build quality of the Japanese Technics EAH-T700 is very good. Sure you like or hate the design but the materials used (aluminum & pleather) are really nice. The finish? As good as it gets. I have to say the design team did an excellent job on displaying the driver configuration, the driver and super tweeter in the angled position look gorgeous. Comfort wise I find the 470g Technics EAH-T700 on the heavier side but the headband fits great and the 3D pads are very comfortable. 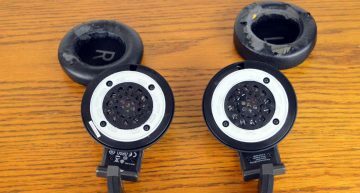 The pads are removable (click system) so they can be replaced when needed. Horizontal Slide [HS] adjustment and ergonomic 3D ear pads will fit your perfect listening style to immerse into the music. After a few hours of continuous use, I have to say the headband does start to hurt a little on top of your head, but it’s not that bad that you have to take it off. 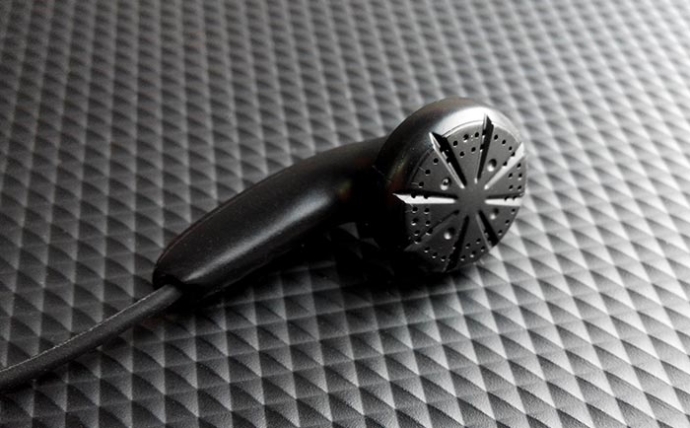 The 3-D pads perfectly sit around your ears and deliver a perfect seal. 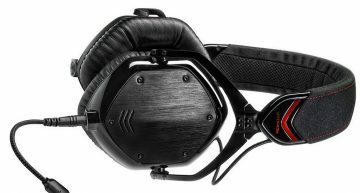 The pressure of the “ear cups” on your head is higher than with most headphones but if you’re used to listening to the Audeze LCD2.1, you most likely won’t even notice this. Not only can you adjust the height of the headband and the angle of the cups, but you also move the ear cups back and forth. That way the Technics EAH-T700 is guaranteed to fit any head. Technics opted to deliver the EAH-T700 with a double set of cables, a short one and a longer one. 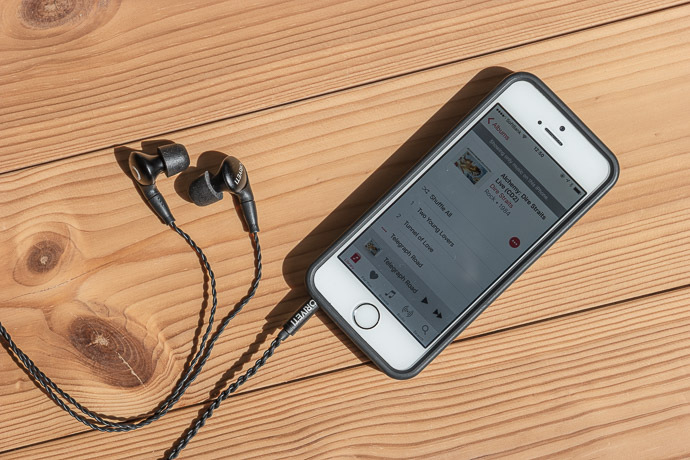 The EAH-T700 uses double 3.5mm connectors so you can run this headphone in balanced mode. The stock cables use a screw on system to keep the cables from getting pulled out, this might be an issue for aftermarket cables but I think it would be ok for most of them. I mentioned before that Technics is aiming for the audiophile with this headphone and that reflects in the price. Yes, Technics does use nothing but quality materials and a double driver but the price at the moment still is a little over €/$1000 and that puts it in Audeze, Sennheiser, Beyerdynamic and Hifiman territory. Brands known for having excellent sounding “audiophile” headphones. Can Technics compete with them sound-wise? You’re about to find out.